My Blog’s First Birthday Giveaway – The Winners! Just two weeks ago I launched My Blog’s First Birthday Giveaway. It comprised 32 separate competitions for readers to enter, and there were multiple ways in which entrants could take part. Entrants had the potential to enter as many competitions as they liked, and could therefore win more than one giveaway. I have been absolutely blown away by the number of entries – almost 16,000 – and the level of support I have received from the companies and brands taking part as well as those who entered the prize draws. Thank you so much to you all; it means so much to me. I really hope that I have genuinely gained new readers and followers through this competition and that you’ll stick with me and continue to read my blog. It’s lovely to have you here and I’d very much like you to stay! But, on to business. I am sure you are all eager to know the winners, so without further ado, here they are! I will be emailing each of the winners in due course to let them know how to claim their prize(s). Congratulations to all who won and a huge thanks again to everyone who entered. Yes please hold more give aways ):! I thought for sure I'd win something lol. My one bra isn't going to last forever hahaha. Thank you for holding such a massive giveaway though, it was amazing to see all the different prizes offered up by companies :]. I can't believe i won something! Thanks so much! Oh no! Sorry Lisa 🙁 Australia is a bit crapola when it comes to shipping outside our borders, so I do apologise for the expensive postage 🙁 🙁 Best of luck with CurvyWordy's next giveaway! Hi Amy,Sorry for the delay in replying.I would recommend inputting your measurements in either the Sophisticated Pair or Butterfly Collection Lingerie bra size calculators. Both are great and pretty accurate.Unfortunately the Deco does not come in my size and I find the wires in Panache bras too wide so do not own any of these and am therefore unable to provide a bra size comparison.What Katie said makes sense but I think they will only send you the one bra for your prize so do bear that in mind.Do let us know which bra you choose! Thanks for your help! I decided to go for the pl Ametyst in a 32H. So excited, I love purple lingerie, and this one is stunning!I tried the Sophisticated Pair and the Butterfly Collection calculator, and got 32H for both (hooray for a +0 calculator! )a far cry from the 36DD most calculators try to tell me.Thanks again.Amy. Ooh great choice 🙂 Do let me know how you get on with it. 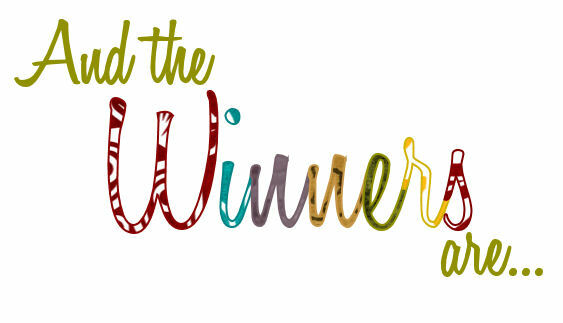 Hi Amber,Congratulations again on winning :-)Both IGIGI and I have already emailed you at the email address which was supplied when you entered the competition. I'm afraid we can't use a different address as we have no way of knowing whether or not it is in fact you.Hope you enjoy your prize! I don't think I got the email :/ Is there anyway I can confirm if the email address on file is in fact mine.? I cant seem to find the email :/ Is there anyway to see if the email on file is in fact mine.? No problem I just pm'd and tweeted you now. I got a cashmere scarf from Eliza Parker! Thank you! It's so big it could be used as a travel blanket too!